My name is Dr Rebecca Andrews; I am a Counselling Psychologist and Consultant Psychologist. I am accredited as a chartered psychologist under the British Psychological Society (BPS) and registered with The Health and Care Professions Council (HCPC). Chartered psychologists have to complete a standard of proficiency to achieve and maintain this level of professional registration. In line with my professional standing, experience and study I fully respect the issues of confidentiality, human rights, ethics and I follow the BPS Code of Conduct. I have trained for 15 years to become a psychologist. I have a psychology degree, a masters degree in Social Sciences and have completed a Professional Doctorate in Counselling Psychology at the University of the West of England. This doctoral level course took 6 years to complete and included over 450 hours of supervised counselling practice in various domains in addition to extensive research. I believe a work / life balance is important so in my spare time I enjoy various activities including wildlife photography, Scuba Diving, baking, walking my dog and Canal boating. 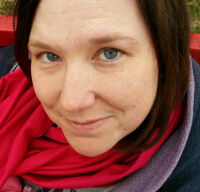 I have a special interest in working with individuals who have learning and behaviour needs in a variety of settings. I have experience in supporting vulnerable families and children working within local authorities, voluntary services, the NHS and private organisations. Alongside my practice, I support children and teenagers with emotional, behavioural and social difficulties; as a Senior Psychologist within the psychological assessment, consultation and therapy department for the Priory Group, covering Herefordshire and Monmouthshire residential and educational settings. I also work within an Intensive Family Support team, supporting families and children known to social care. I have over eight years experience providing support, interventions and training within residential and school settings, supporting children & adults with learning disabilities, complex needs & challenging behaviours. I have over five years experience (paid and voluntary) within the NHS working with adults with Mental Health conditions and their families. My counselling experience includes work within GP surgeries, voluntary services, employee counselling, schools and residential settings. I use the relational approach & work in an integrative way, which is client centred. I offer brief and open-ended therapy depending on the setting and client needs. I successfully completed a research paper and presented this as a display at British Psychological Society conference in July 2011 related to the Interpersonal dynamics amongst employees within a residential setting. My most recent research, using grounded theory, relates to experiences of parenting a child with learning disabilities in relation to emotional breaking point and decision making for out-of-home care. This study specifically explored parental identity and reactions to this moral dilemma. Information can be reviewed on my website: www.learningdisabilityresearch.co.uk This research is based on long-standing areas of interest and experience, forming the basis for future progression with my desire for specialising in working with families of those with disabilities and other complex learning and mental health needs, as well as to support organisational strategies. I am specifically interested in working with family conflict and believe early interventions promote healthy relationships and serve to reduce risk and psychopathology.